Preheat the oven at 425F. 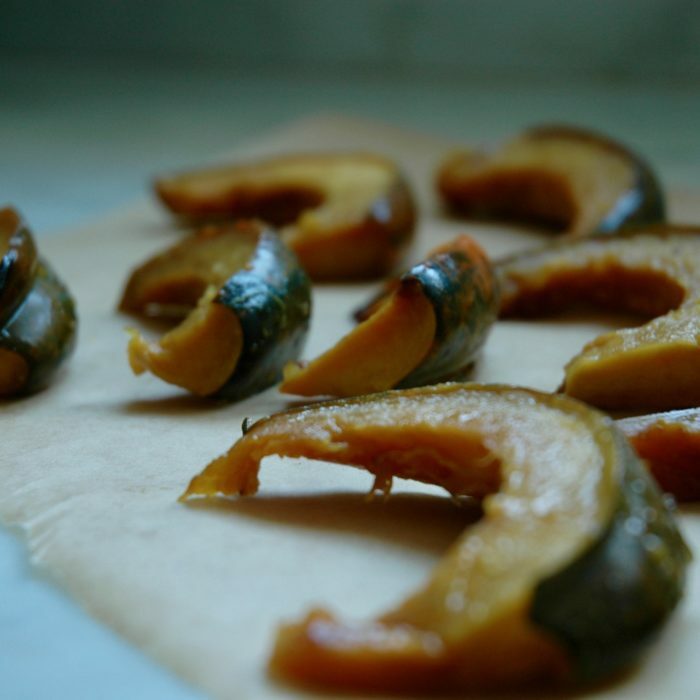 Toss the squash with olive oil, maple syrup and sprinkle some salt and pepper on top. Cook for 20-25 minutes until tender.